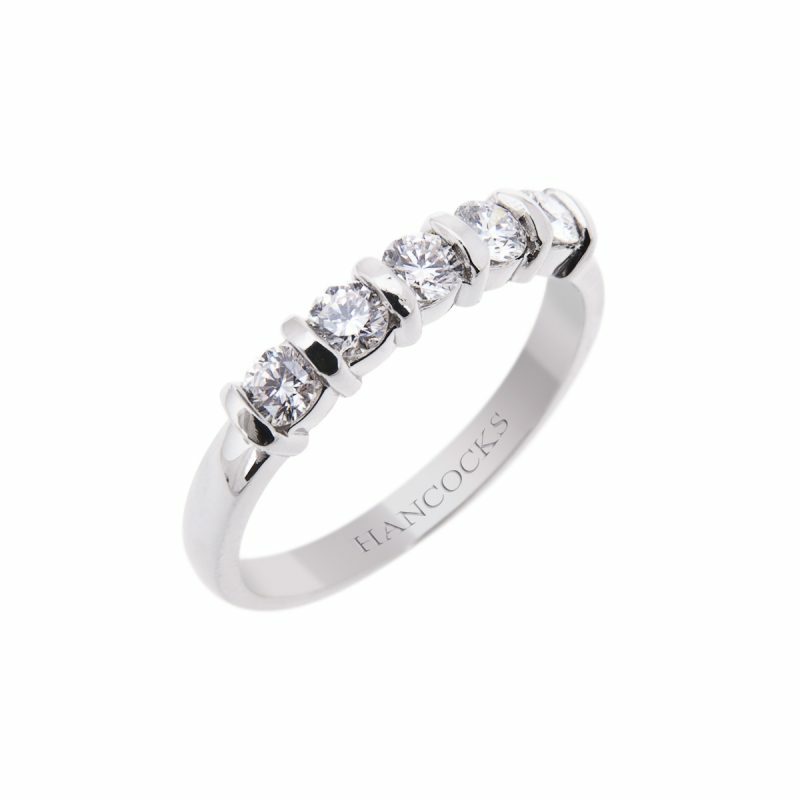 Brilliant cut diamonds mounted in a beautiful platinum setting. 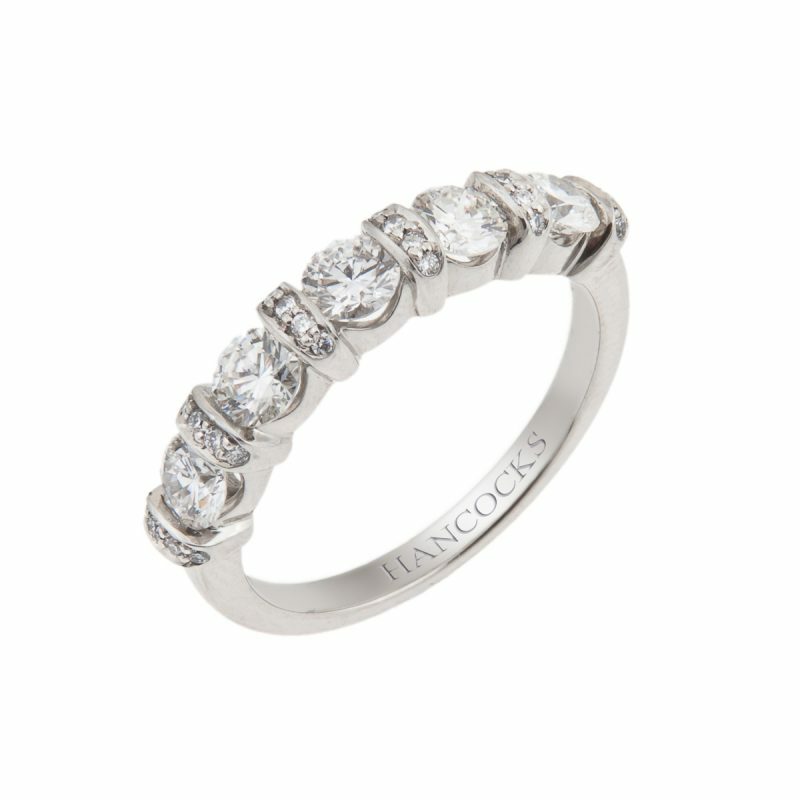 The attention to detail elevates this superb half eternity ring to the realm of dreams. 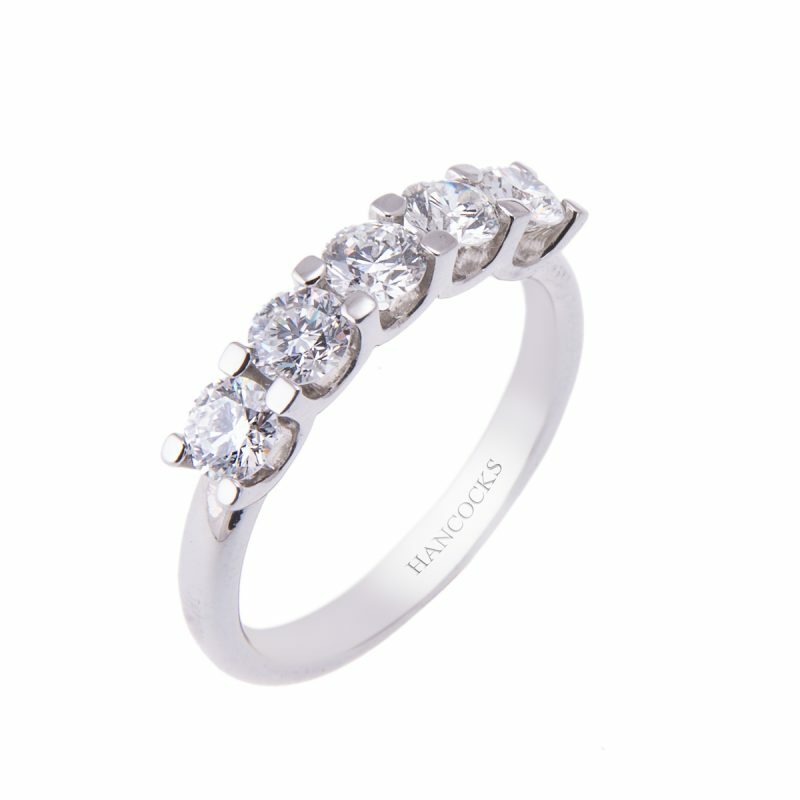 Five brilliant cut diamonds cast their light in a beautiful platinum setting. 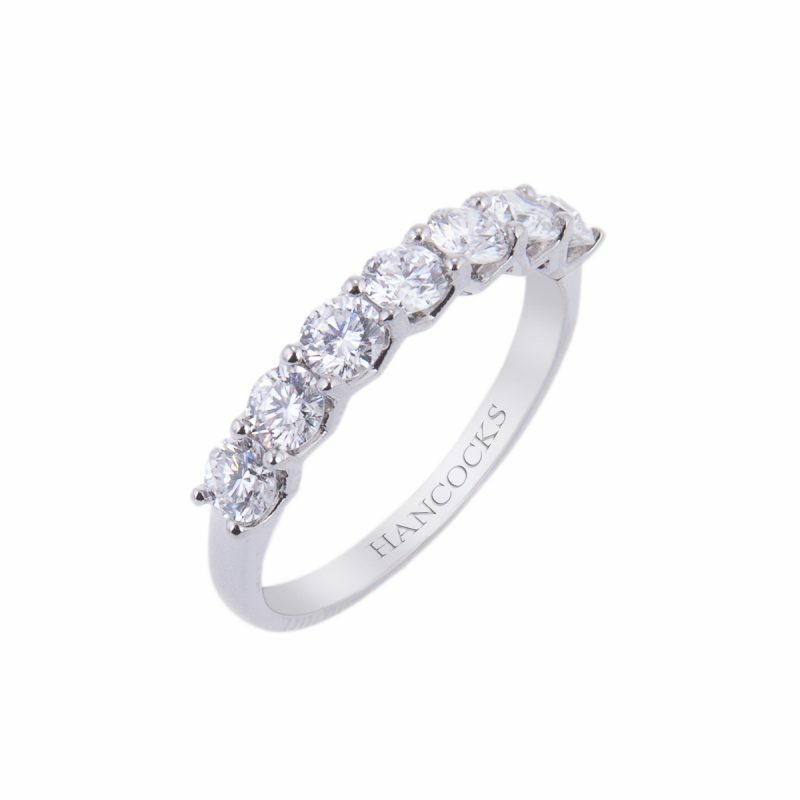 Between each stone a strap set with small brilliants support their glittering sisters.